Looking for more engagement? Gamification may be part of the solution. Yet, many L&D professionals struggle with exactly how to incorporate gamification into their design and delivery. If you want to bring gamification to your organization, begin with game-based thinking, rather than gamification, and focus on the learning goals, rather than the technology. Game-based thinking applies motivation and engagement to learning through game design. Where to begin? Start by understanding the full spectrum of game-based thinking that may be applied to your projects. The best part is that the most basic level may involve no change to your learning content at all; rather it applies extrinsic motivators for learners to complete learning. Join us for this interactive session where we will play a game to learn about game thinking and its practical application. Part of the game includes an opportunity for participants to share examples where game mechanics could be used in their projects, so have a project in mind for this session. After this session, you’ll walk away with confidence to apply game-based thinking to your projects, before moving on to serious gaming. 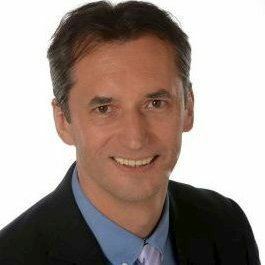 Zsolt Olah is a Director, Innovation and Learning Solutions at PDG (Performance Development Group), where he's responsible for a team to deliver innovative learning and performance solutions that drive business results. Previously, Zsolt worked as a Sr. Program Manager at Comcast University, where he was the thought leader in the creative learning solutions space, spearheading the research and application strategy of gamification/game-based learning and game-thinking within learning and development. Zsolt is a frequent speaker at learning conferences, active in social media, often blogging on game thinking and learner engagement at http://www.rabbitoreg.com/.